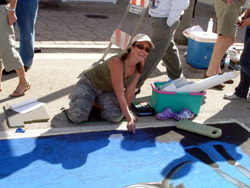 PASCAL LECOCQ The Painter of Blue ® - Tag Archive for "street art"
Artist Tammi Latham from West palm Beach, paints for the fourth year in a row, a copy of Pascal’s artwork. 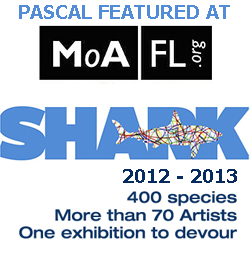 After Pascal’s signature painting The Matador in 2009, the Zodiac Sign Ophiucus in 2010, Cloudy Bear in 2011, it’s the turn of “Calendar: Leo” to point out the trouble of the lionfish invasion in our waters! 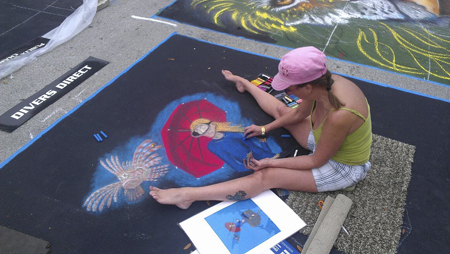 Artist Tammi Latham from West palm Beach, paints for the third year in a row, a copy of Pascal’s artwork. 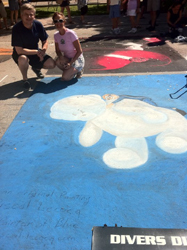 After Pascal’s signature painting The Matador in 2009, the Zodiac Sign Ophiucus in 2010, it’s the turn of “Cloudy Bear”! 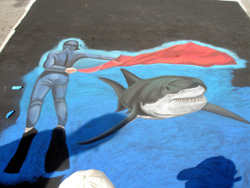 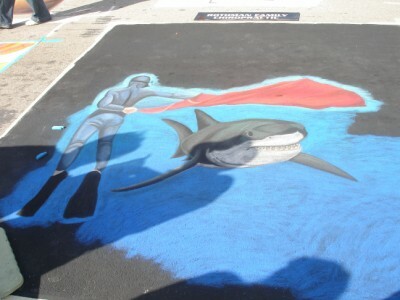 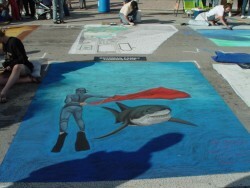 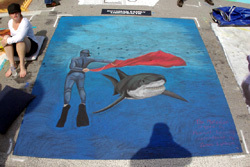 Lake Worth, street painting festival. 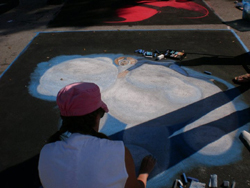 Artist Tammi Latham made a impressive “Matador” from Pascal’s masterpiece. 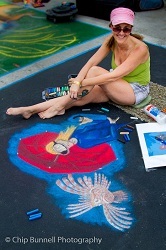 Tammi has been doing faux finishes & murals in Illinois before moving to West Palm. 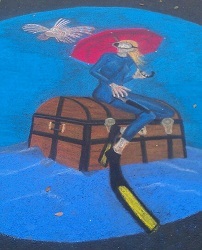 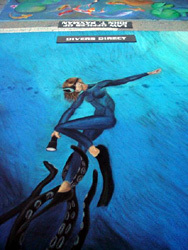 She was entering the Lake Worth Street Painting Festival for 3 years.